Video 1: Why Professional Learning Matters ● Video 2: What Is Professional Learning? Watch our movie trailer for the video series! As I reflect about our Annual Learning Forward Conference, the word that comes to me is deliberate. Robin Fogarty was our keynote speaker. Her most recent book is, “Unlocking Student Talent: The Science of Developing Expertise”. Robin’s message for us was how to produce students who are independent learners and are prepared to acquire whatever skills are needed for their future. We can do this by empowering students to fly. As teachers, we need to spark their curiosity, hook them, ask questions, allow them to investigate, validate their work, and require justification and application. Teachers need to be deliberate about coaching students through encouragement, instruction, empowerment and inspiration. Robin says, “talent is made, not born”. Robin asked us to think about a person or persons who have “coached” us or helped shape us into who we are today. As I reflect on the mentors in my life, they have supported me in different ways. I could quickly write down key people in my life who have provided me with unconditional love, support, challenged me, encouraged me, were honest and gave me guidance. As teachers, we need to be deliberate in providing these supports to our students. 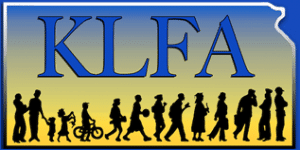 Seventeen organizations were represented at the April KLFA meeting in Topeka. 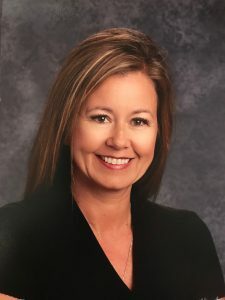 Kansas Commissioner of Education Dr. Randy Watson, along with KSDE employees and Deputy Commissioners Brad Neuenswander and Dale Dennis, celebrate the start of the 2018-2019 school year with this back-to-school video. At Learning Forward, we fundamentally believe every child deserves access to excellent teaching and learning every day, regardless of his or her ZIP code or family income. Socioeconomic conditions, race, ethnic background, and other factors should not be predictors for educational attainment. We believe school systems and other learning environments have to be relentless in addressing the issue of expanding learning opportunities for each and every student while building on the strengths all children bring to the classroom. These beliefs are fundamental to our approaches to achieving equity. 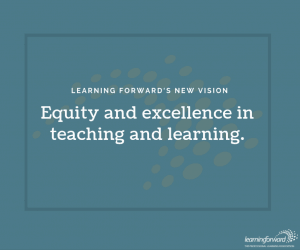 They underlie the decision the board of trustees made earlier this year to explicitly include equity in Learning Forward’s vision statement: Equity and excellence in teaching and learning. Have you ever tried scheduling a book study? Selecting and providing a book is easy; finding a time for everyone to meet is difficult. View & Download A Free Copy! Learning Forward Kansas has developed a Facilitation Guide to promote dialogue that increases understanding of KESA and the rubrics. This resource is full of strategies (also known as protocols) to organize and facilitate professional learning discussions with educators and stakeholders that lead to success for all. LFKS to release Video #4 – Learning Designs and #5 – Learning Leaders as part of their grant award from Learning Forward.